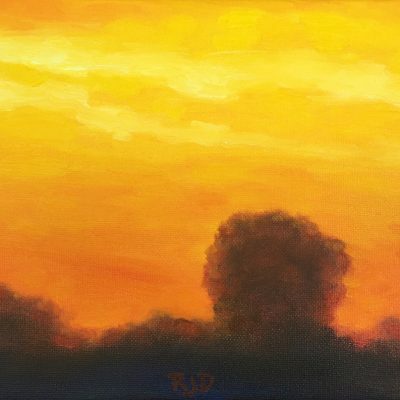 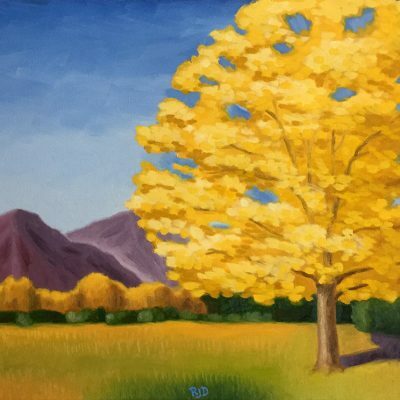 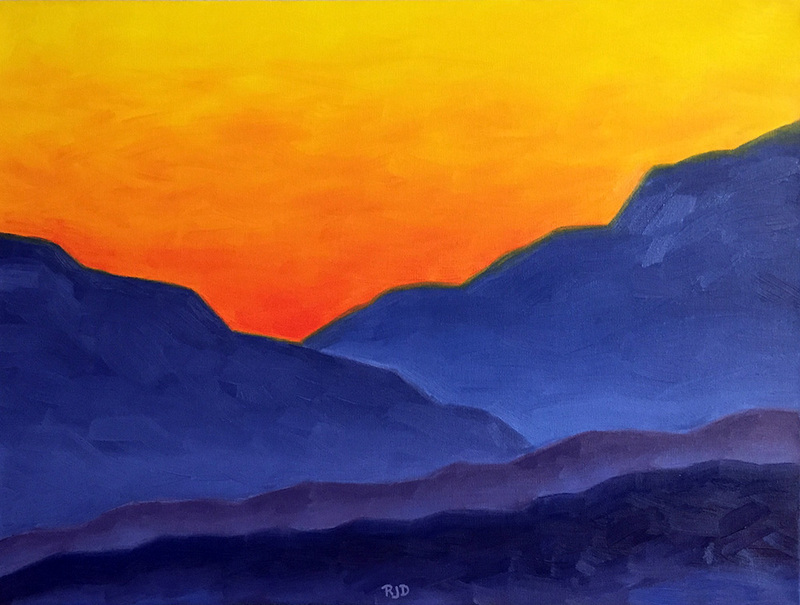 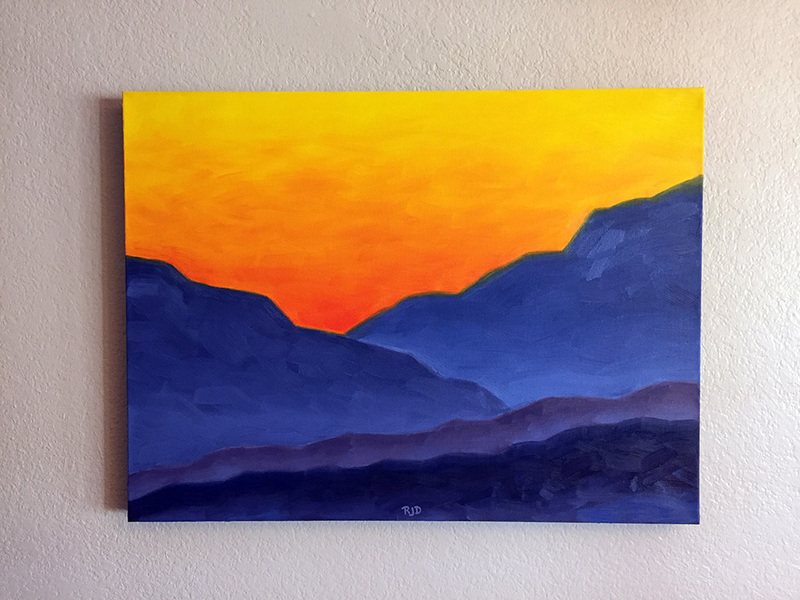 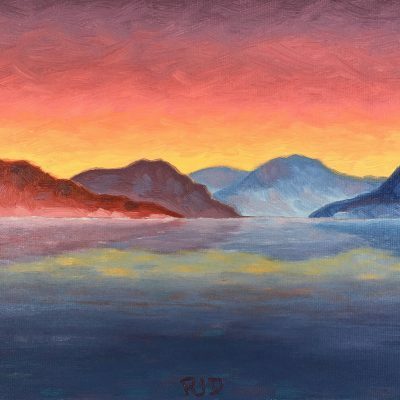 This is an original oil painting of an imaginary view of a mountain range at sunset. 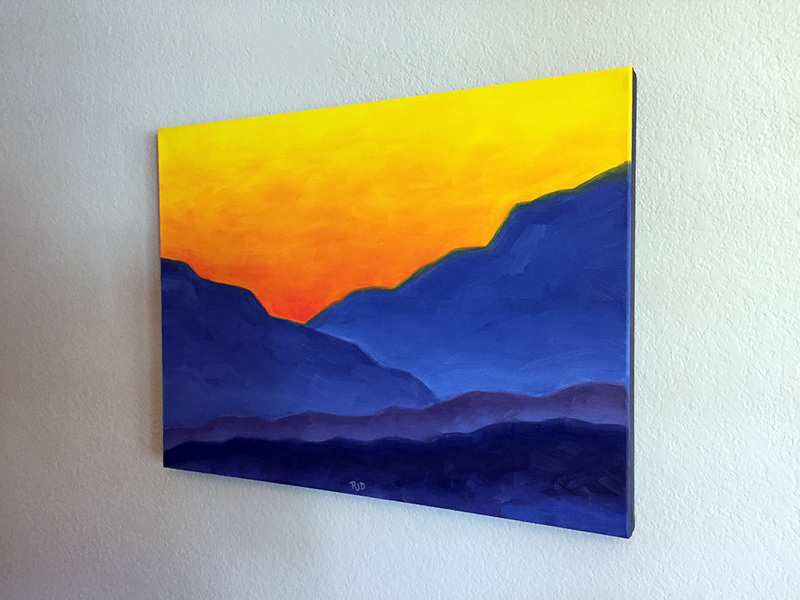 This is one of a series of paintings featuring different color combinations used for the land and sky. 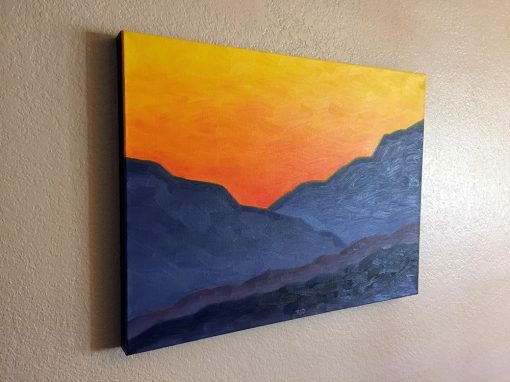 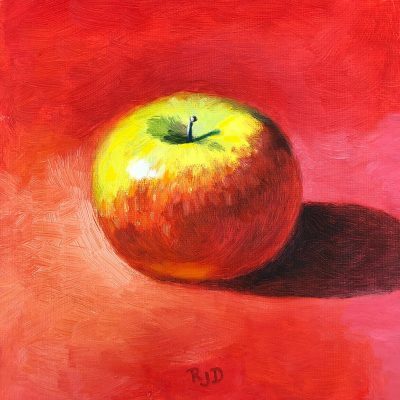 This oil painting is painted on 1.5″ gallery wrap canvas with a painted acrylic black edge, sold unframed and shipped USPS Priority Mail.